Here are some of our most unique floral creations, mixed with some of our corsages. 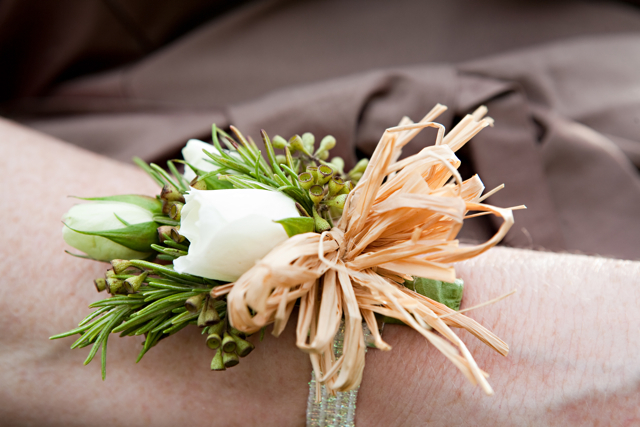 We are not huge fans of the traditional corsage which causes us to come up with creative floral alternatives. We love our floral art!! This fabulous floral necklace was created with bark wire, mini succulents, amaranthus, zig zag wattle and blue thistle. Photography by Anne Robert. We created a headband of bark wire, red gladiola, yellow billy balls and berry. This photo shoot was featured on Style Me Pretty. Photography by Terra Dawn. When a bride requests flowers for her hair we often suggest the blooms from the dendrobium orchid. We wire 7 to 11 small blossoms and the flowers can be used individually or clustered together to create the look of one large bloom. This orchid is available in several different shades. Photography by Ron Jones. 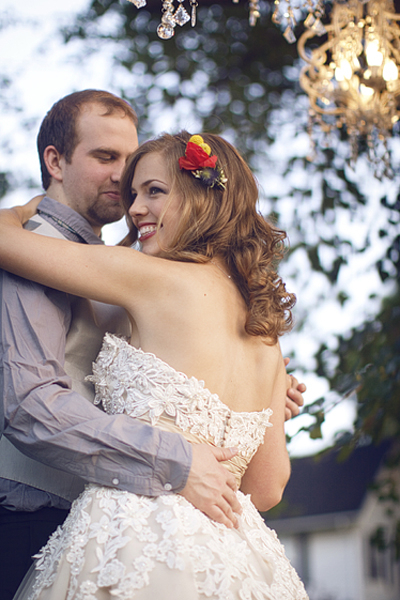 This floral headband was created with bark wire, rose petals, pods and berries. Photography by Anne Robert. 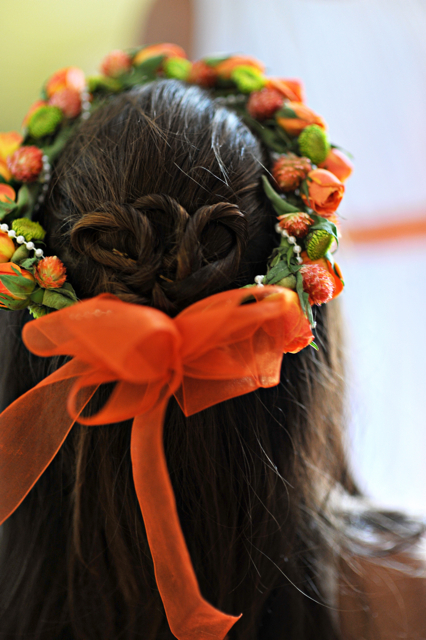 This flower girl halo was created with orange spray roses, orange ribbon, green button mums, orange globe amaranthus and pearls. Photography by Anne Robert. We love the look of this headband created with some of our fabulous ribbon. Photography Terra Dawn. 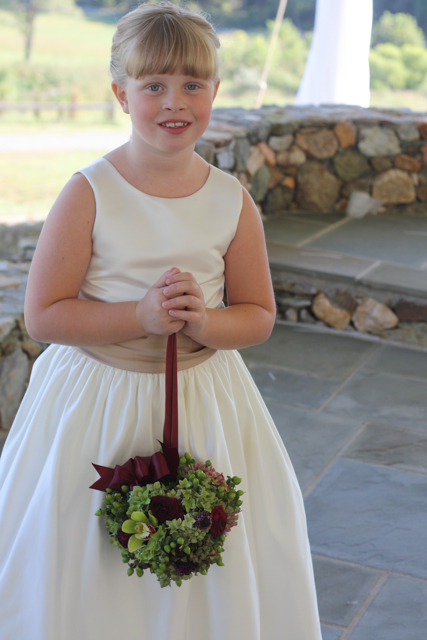 Flower pomanders are wonderful for young ladies. This was created with berry, orchids, hydrangea and scabiosa. 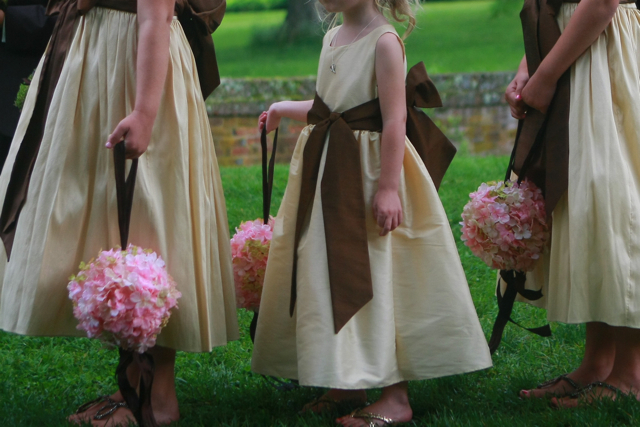 Pomanders of pink hydrangea were created for the flower girls. Photography by Martha FtizSimons. 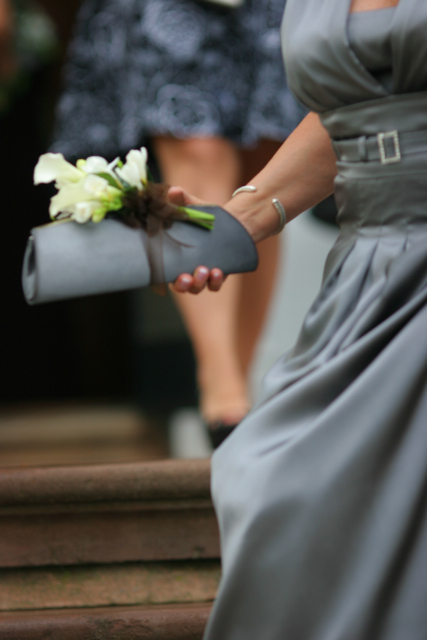 Small corsages can be created and pinned onto the ladies handbags. This is a fun and unique option. Photography by Martha FtizSimons. Flower crown of white daisies, yellow roses, and red roses. Photography by Jennifer Anderson. 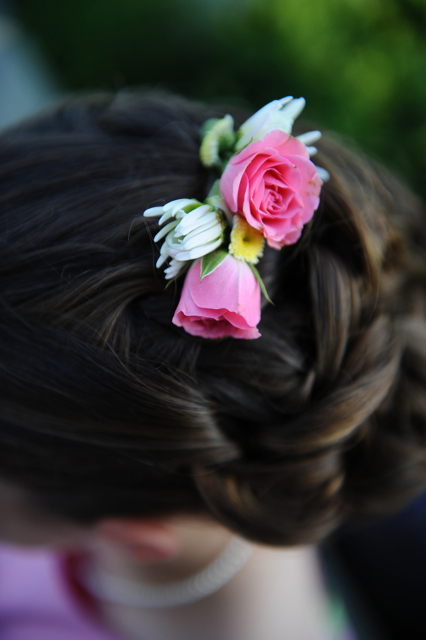 Small clusters of flowers can be created to place in the hair. Photography by Jennifer Anderson. Mini dahlias were used to provide flowers for the brides hair. Photography by Maria Vicencio. A crown of green hydrangea, angel vine, green button mums, and berry. Photography by Maria Vicencio. Green button mums were used to make these ring bearer pillows. Small pearls were inserted into the mums for an extra special touch. Photography by the Observatory. 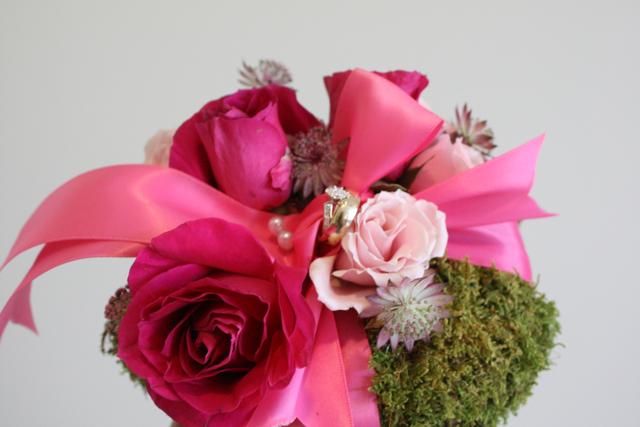 White spray roses, pink spray roses, and baby’s breath were used to create these pomanders. Photography by Kate Headley. 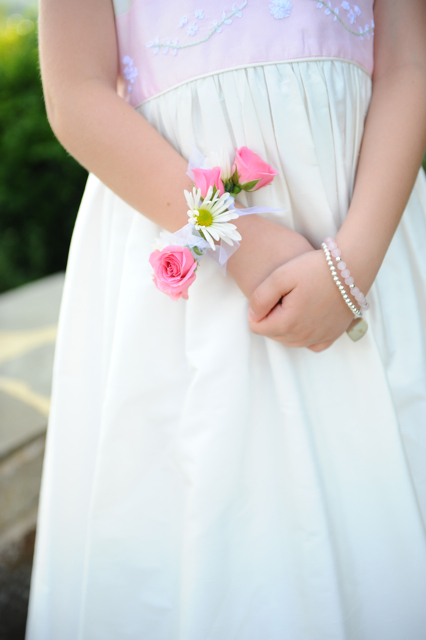 White spray roses, rosemary, seeded euc and raffia were used to create this simple wrist style corsages. Photography by Madelina Lesan. 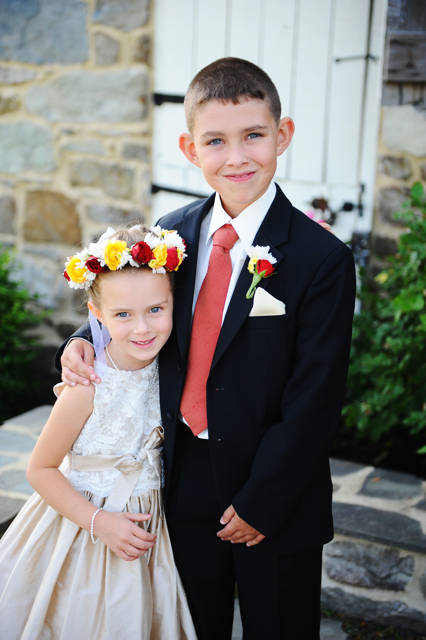 Green button mums were used to make a simple bouquet for the flower girl. We added black lace florets into the bouquet. 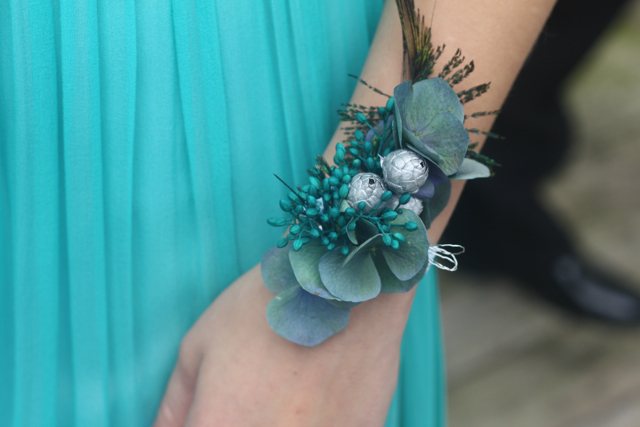 Antique blue hydrangea was used with teal tinted berry and silver painted pods to create this wrist style corsage. Peacock feather was added to the design. 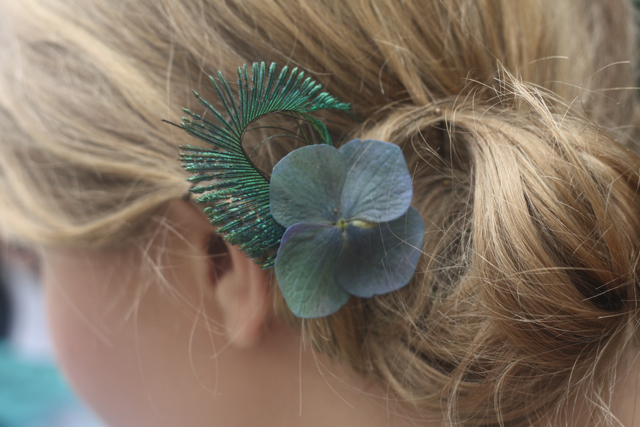 A floret of hydrangea with a sword of peacock feather was used for this hair piece. 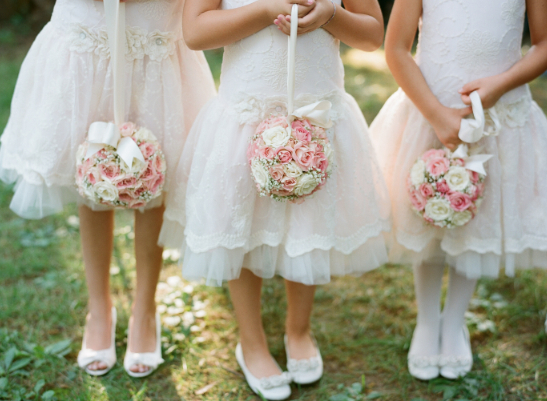 This ring bearers pillow was created with moss and spray roses. and filler flowers. 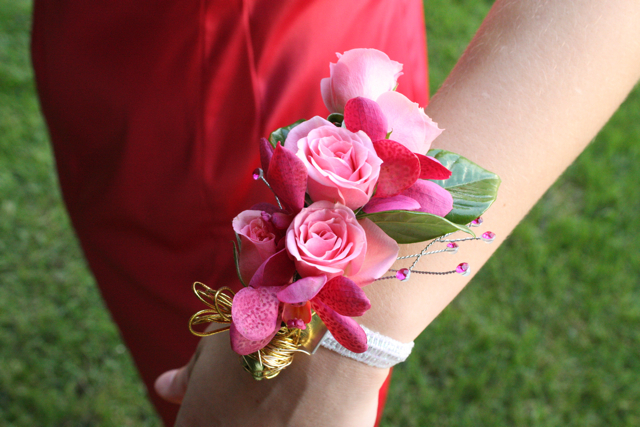 Pink Spray roses, pink orchids, and gold wire were used to create this corsage. Freeze dried roses, peacock feathers and jewels were used to create this hair piece. Photography by Genevieve Leiper. We used peacock feathers with trim and beading to create this unique wristlet. Photography by Genevieve Leiper.